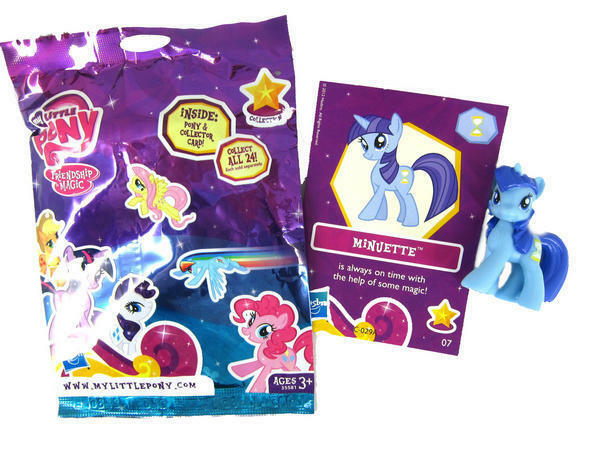 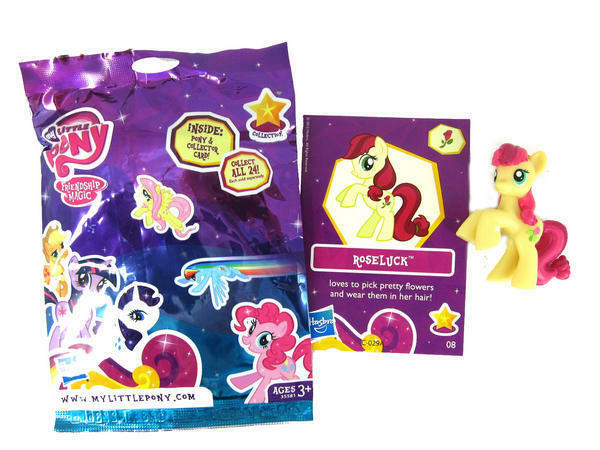 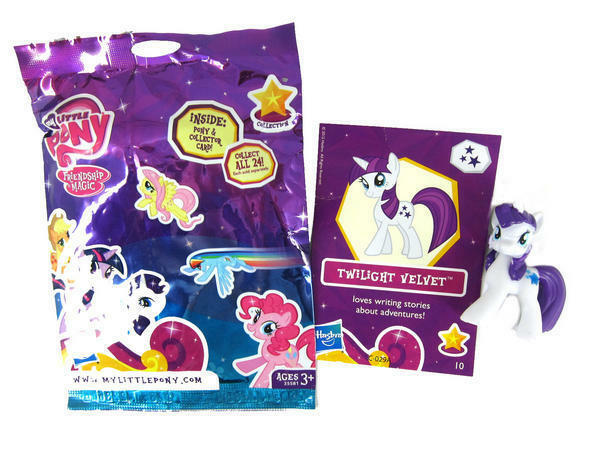 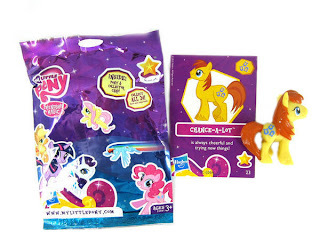 The full set of wave 6 blindbags have finally popped up. We have had a few posts dropping bits and pieces of the group in the last few months, but Ebay seller lipin2012 apparently got ahold of them all. Head on down past the break for all of them, including some super in-depth information from Ace Reporter Whatshisgame! 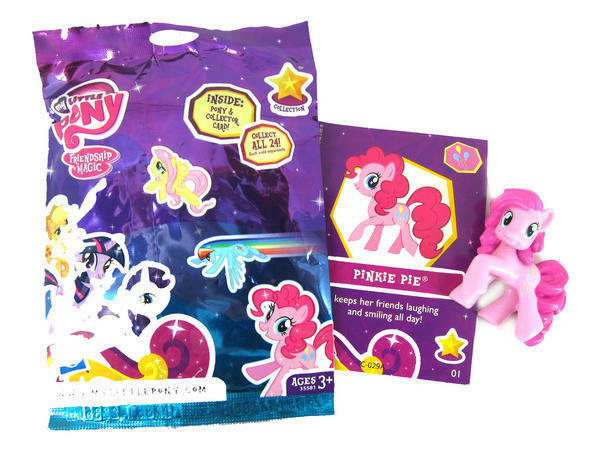 01: (Mane Six member) Pinkie Pie “keeps her friends laughing and smiling all day!” Her mini-figure looks to be the same as in most other releases. 02: (Mane Six member) Fluttershy “likes taking care of her friends!” Her mini-figure looks to be the same as in most other releases. 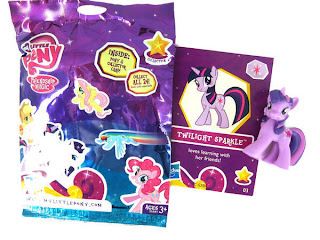 03: (Mane Six member) Twilight Sparkle “loves learning with her friends!” Being part of this wave’s special edition trio, her mini-figure’s cutie mark includes a raised star. 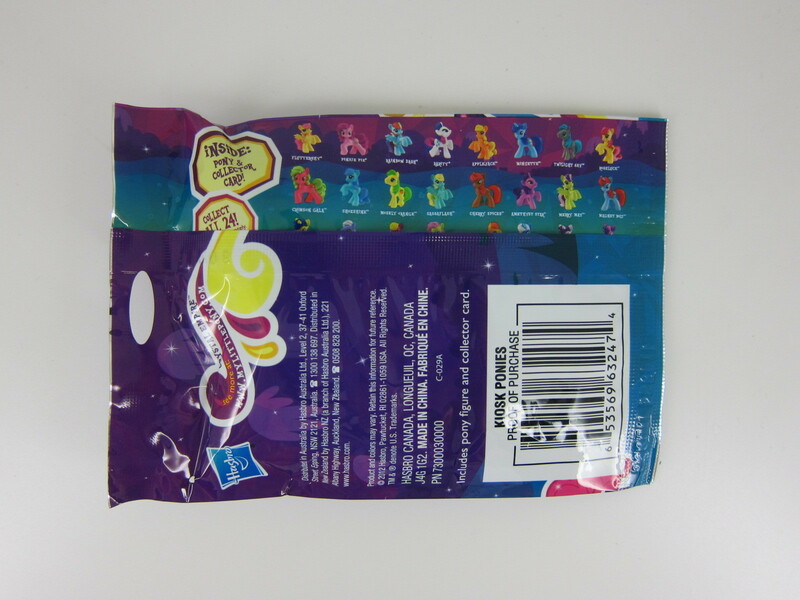 04: (Mane Six member) Rainbow Dash “is always ready to help her friends.” Her mini-figure looks to be the same as in most other releases. 05: (Mane Six member) Rarity “loves to give her friends great advice!” Her mini-figure looks to be the same as in most other releases. 06: (Mane Six member) Applejack “is honest, friendly and sweet to the core!” Her mini-figure looks to be the same as in most other releases. 07: (Background pony) Minuette “is always on time with the help of some magic!” Her previous version from Wave 4 is completely crystal. 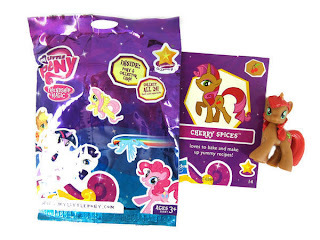 08: (Background pony) Roseluck/Rose “loves to pick pretty flowers and wear them in her hair!” Her previous mini-figure from Wave 1 has a couple of differences from this mini-figure. 09: (The Great and Powerful) Trixie Lulamoon “is great at magic tricks!” Being part of this wave’s special edition trio, her mini-figure’s cutie mark includes a raised star. 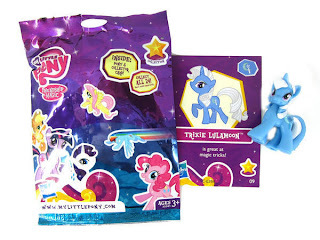 Her previous mini-figures from Waves 4 and 5 both use Rarity’s mold, and the Wave 4 version is completely crystal. 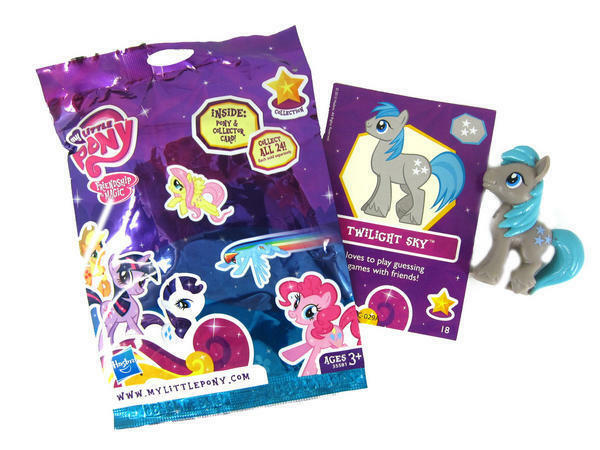 10: (Twilight Sparkle and Shining Armor’s mom) Twilight Velvet “loves writing stories about adventures!” Being part of this wave’s special edition trio, her mini-figure’s cutie mark includes a raised star. Her previous version from Wave 4 is completely crystal. 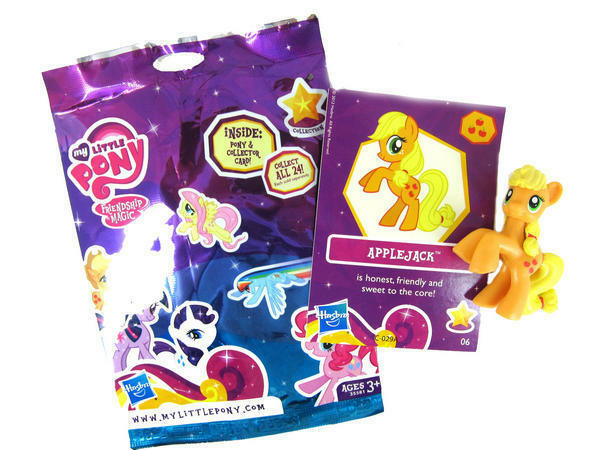 11: (Applejack’s uncle) Mosely Orange “loves to have fancy parties!” His previous version from Wave 4 is completely crystal. 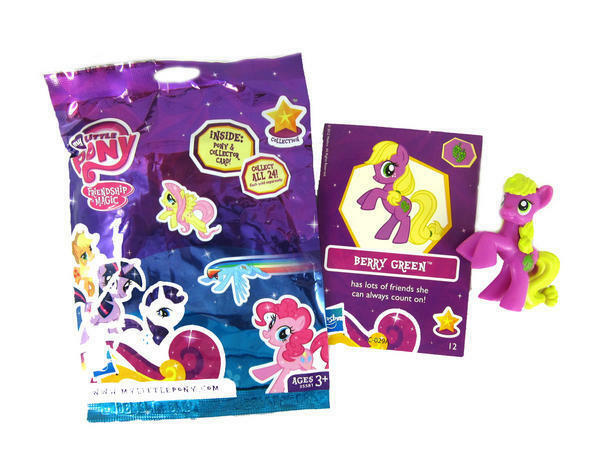 12: (Non-show pony) Berry Green “has lots of friends she can always count on!” Her previous version from Wave 4 is completely crystal. 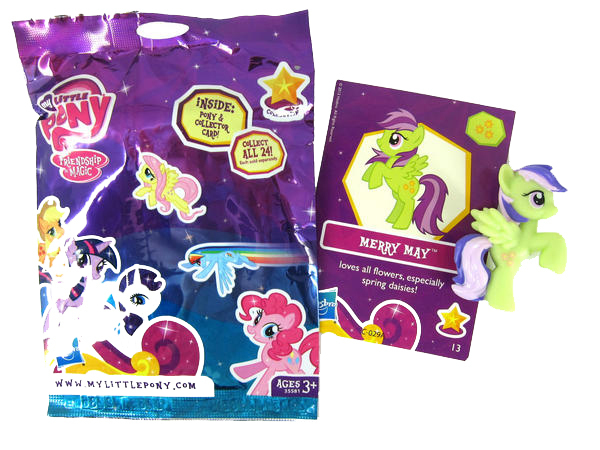 13: (Background pony) Merry May “loves all flowers, especially spring daisies!” Her previous version from Wave 4 is completely crystal. 14: (Non-show pony) Cherry Spices “loves to bake and make up yummy recipes!” Her previous mini-figure from Wave 1 uses Rarity’s mold and has a couple of other differences from this mini-figure. 15: (Non-show pony) Electric Sky “has so many smart ideas to share!” Her previous version from Wave 4 is completely crystal. 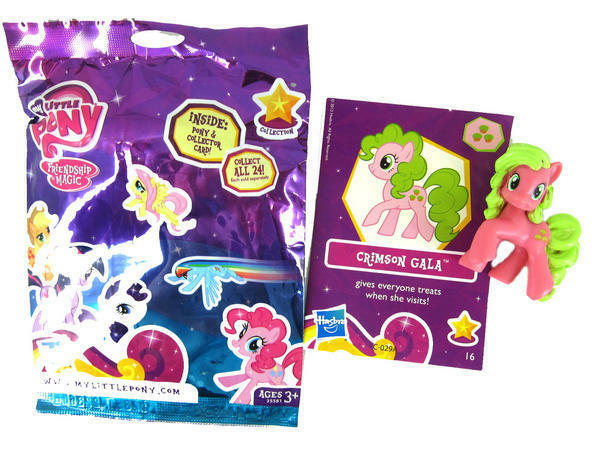 16: (Apple Family relative) Crimson Gala/Red Gala “gives everyone treats when she visits!” Her previous version from Wave 4 is completely crystal. 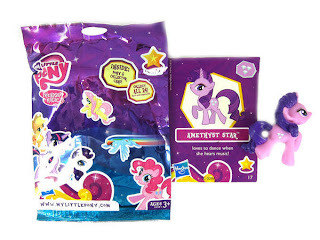 17: (Background pony) Amethyst Star “loves to dance when she hears music!” Her previous version from Wave 4 is completely crystal. 18: (Background pony) Twilight Sky “loves to play guessing games with friends!” His previous version from Wave 4 is completely crystal. 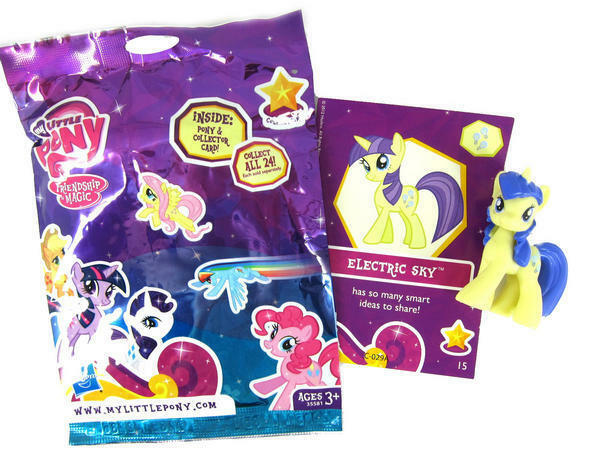 19: (Background pony) Sassaflash “loves watching clouds blow across the sky!” Her previous version from Wave 4 is completely crystal. 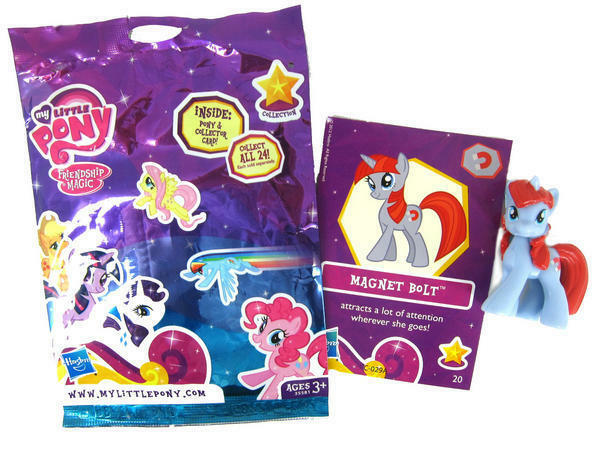 20: (New pony) Magnet Bolt “attracts a lot of attention wherever she goes!” So far, this release is her only known appearance. 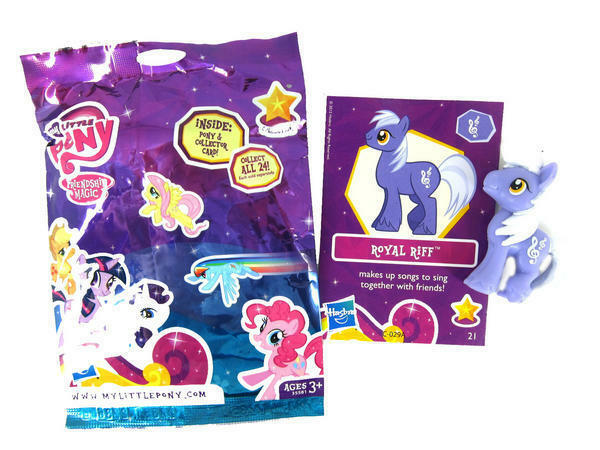 21: (Background pony) Royal Riff “makes up songs to sing together with friends!” His previous version from Wave 4 is completely crystal. 22: (Apple Family relative) Peachy Sweet “is always smiling wherever she goes!” Her previous version from Wave 4 is completely crystal. 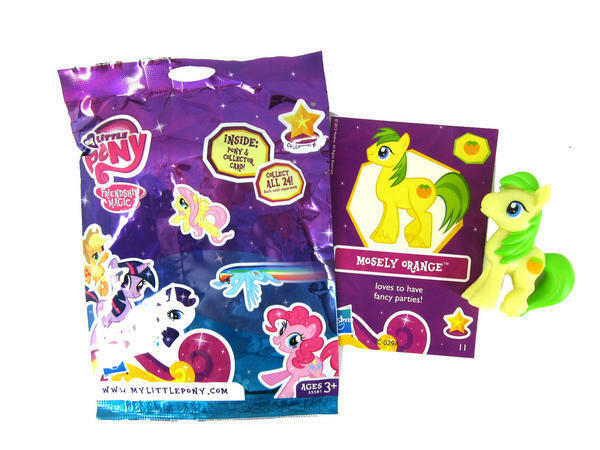 23: (Background pony) Chance-A-Lot/Caramel “is always cheerful and trying new things!” His previous version from Wave 4 is completely crystal. 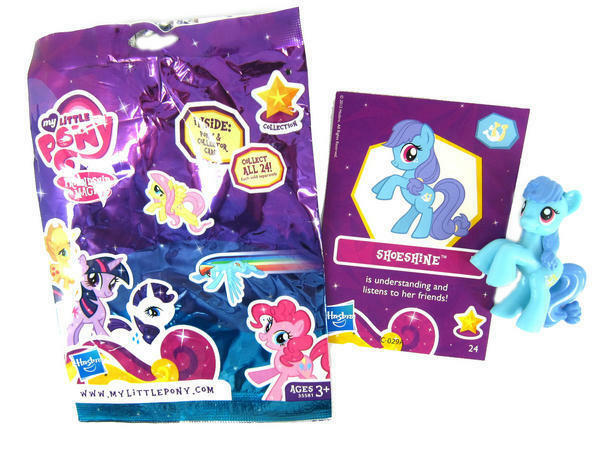 24: (Background pony) Shoeshine “is understanding and listens to her friends!” Her previous version from Wave 4 is completely crystal. Right now, these can be legitimately pre-ordered in random bunches of 6 from Entertainment Earth or 5 from ToyWiz (currently for the same price despite being different quantities) and in boxes of 24 from BigBadToyStore, ToyWiz, or Entertainment Earth (currently cheaper at BBTS than at TW or EE). 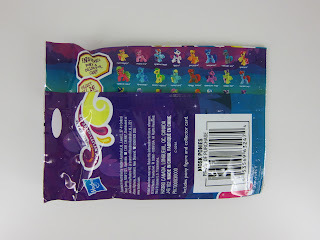 Wave 6 is apparently supposed to be the first wave of 2013 in America, but its release date on all three of those sites is November 2012 (the same release date that Wave 5 has on those sites). 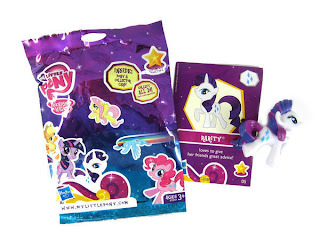 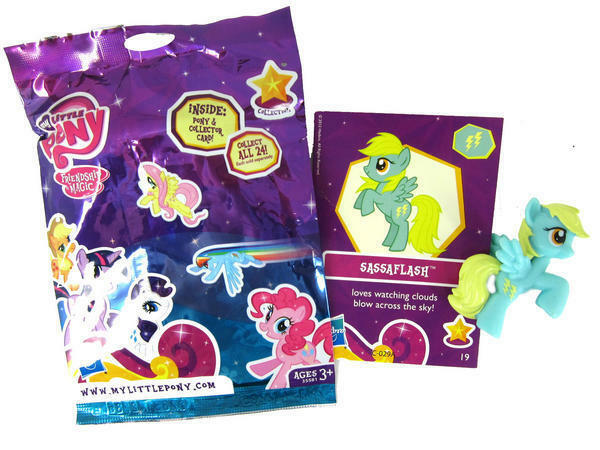 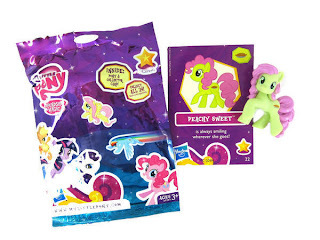 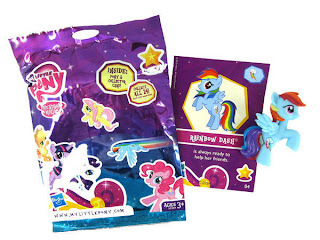 Giant Merchandise Post: Ponies Guaranteed!